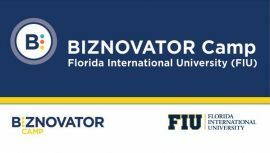 With 50 combined years of experience and expertise in more than 30 countries, the BIZNOVATOR ACADEMY Program brings a wealth of knowledge in; entrepreneurship, business startups, technology, diversity training, and corporate leadership. Our BIZNOVATOR ACADEMY Program includes the complete DISCOVER, TRANSFORM, CONNECTexperiential learning methodology bringing our expertise to the local school or community organization setting. In order for today’s youth to successfully meet their future potential in a rapidly changing global marketplace they require early exposure to a broad range of teachings and skillsets. These are the skillsets that the worlds’ most successful business leaders, professionals, and entrepreneurs, possess and exhibit on a daily basis. These include; advanced leadership, decision-making, communications, team building, financial and strategic planning. For this reason, BIZNOVATOR has taken our proven methodology; DISCOVER, TRANSFORM, CONNECTand created a comprehensive program that can be delivered in the school setting throughout the school year. The BIZNOVATOR ACADEMY has been developed to integrate into your curriculum for delivery during the school day or through an after-school enrichment program. We train your staff to ensure your students learn purpose driven lessons while improving self-esteem, confidence and analytical skills. ​Through the year-long program, students in grades 3-12 generate a comprehensive career plan, complete several personal growth assessments, create a social impact plan, and participate in the BIZNOVATOR Social Impact Challenge. The BIZNOVATOR ACADEMY is structured into three distinct programs delivered throughout the school year and during the summer through various camps. 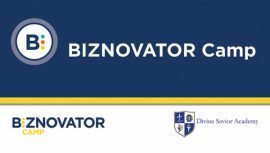 The 1st semester follows our proven methodology contained within our BIZNOVATOR DISCOVER Workshops. BIZNOVATOR DISCOVER focuses on personal awareness and foundational growth. The 2nd semester exposes your students to the BIZNOVATOR TRANSFORM program that dives deeper into subject matter pertaining to leadership, financial literacy, and social innovation. 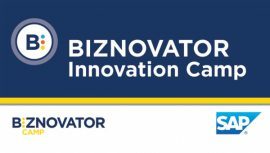 During the summer, our BIZNOVATOR ACADEMY delivers BIZNOVATOR CONNECT which are a series of camps for youth aged 8-12, 13-15 and 16-20. During this week long experience, your students will visit local corporations, interview executives, develop business plans, and compete for scholarships. For more information on how to become a BIZNOVATOR ACADEMY, please click the link below. One of our representatives will contact you directly to discuss how we can partner to bring tremendous value to your students.